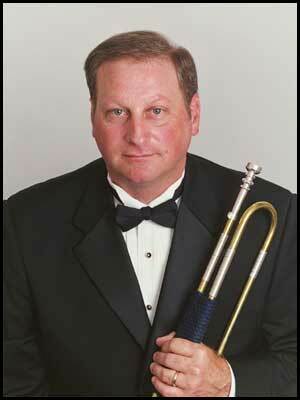 For the past 20 years Daniel has been performing trumpet in and around the Indianapolis area. He can be heard at local churches performing as a soloist or in an ensemble. As a member of the Indianapolis Chamber Orchestra (since 1985), he has played for musical stars ranging from Pavarotti to Dennis DeYoung. With a Master Degree from the University of North Texas, Daniel has professional experience with many styles of music ranging from Baroque to Be-Bop. Make your next event special with the sound of the trumpet! "Daniel, Just wanted to drop you a note and let you know what a fantastic performance you put on at our wedding on May 10th. There have been countless comments on how stunning the trumpeter was and how much it added to the ceremony. Personally, you sent chills up my spine... really, really beautiful."